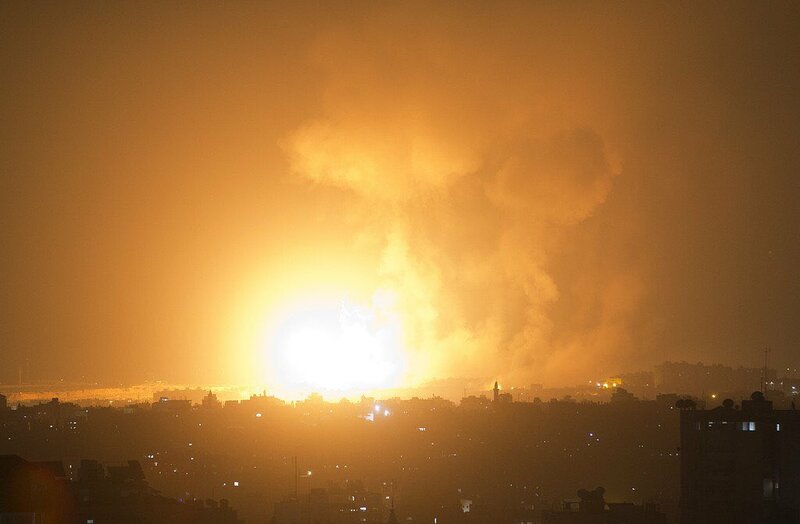 The Israeli military, one of the most powerful armies on the planet, launched a full-scale military assault on the besieged coastal Strip Wednesday night, dropping at least 140 bombs, according to the Israeli military spokesperson. The Palestinian population of Gaza, which includes more than one million children in its total population of two million, has no military. In addition to the mother, daughter and unborn baby that were killed Wednesday, Israeli forces also wounded more than a dozen Palestinians by dropping bombs from drones and planes. Several were wounded seriously and taken to intensive care units at the hospital.